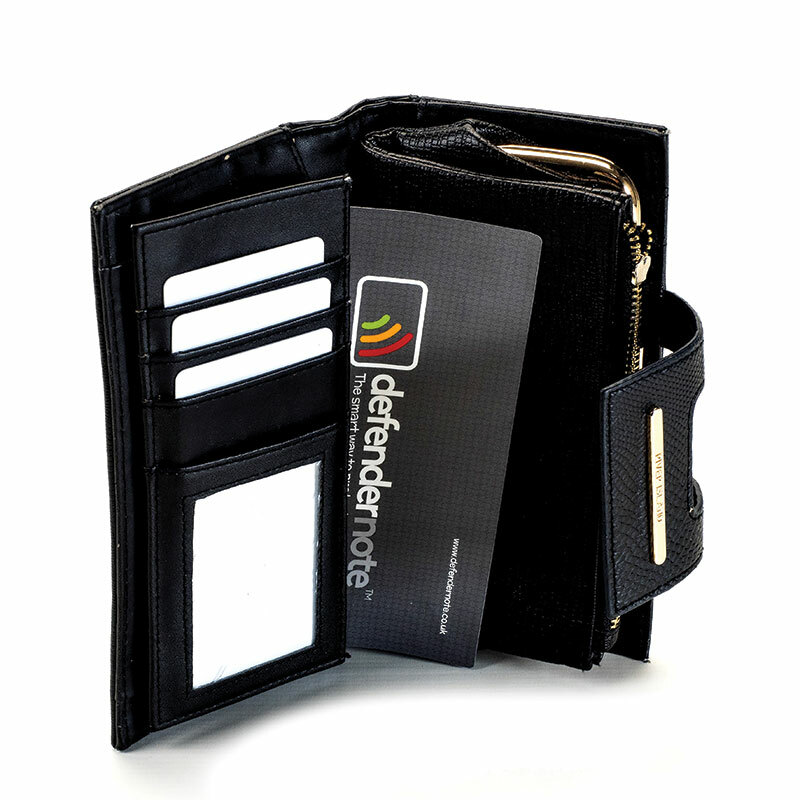 The Defender Note must be placed in your purse or wallet so that all cards are fully shielded by the Defender Note to block the RFID signals. 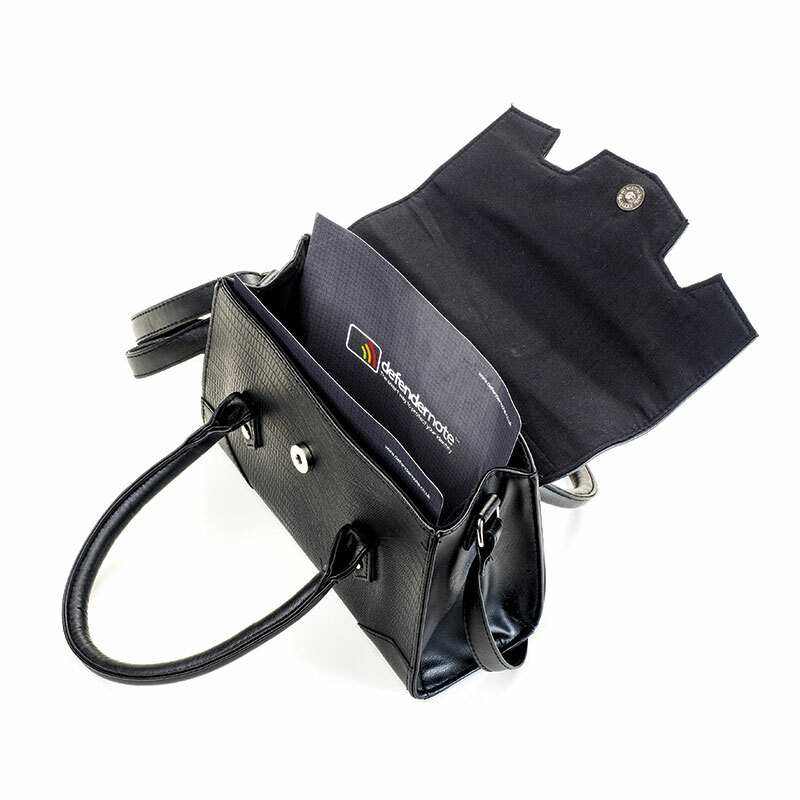 The Defender Note should fit edge to edge and top to bottom, in the currency note section of your purse or wallet so that RFID signals cannot pass through the outer case. You may need to cut the Defender Note to fit your purse or wallet. For example, for this large wallet, the A5 Defender Note was cut to size so it fits in the currency note section of the wallet fully (so RFID signals cannot reach the cards). Rest assured, the technology in the Defender Note is not affected when cut. 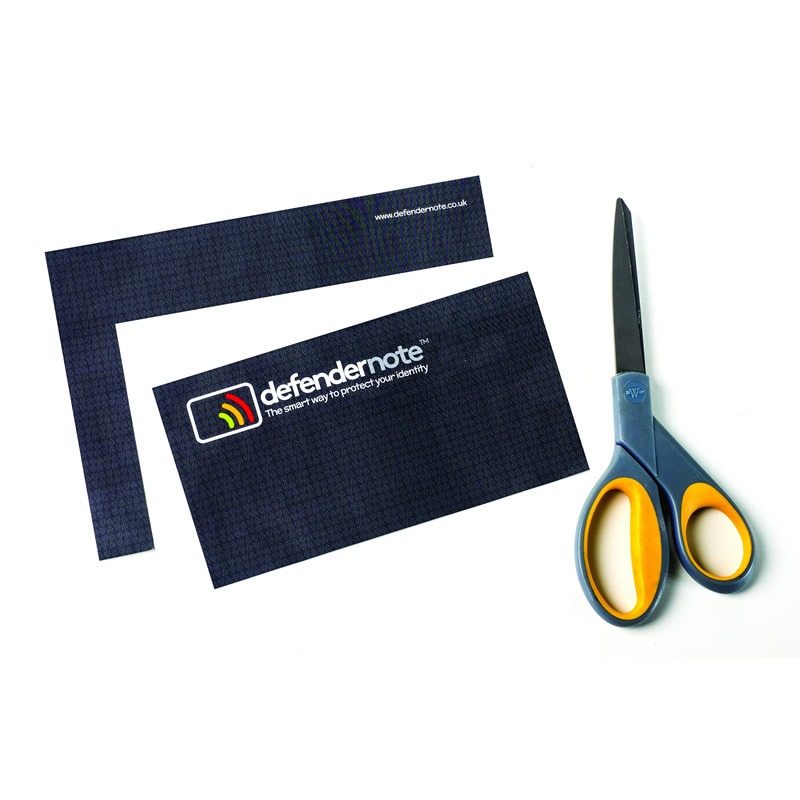 All Defender Notes can be cut to fit your purse or wallet. Please ensure you measure what size you need before cutting, allowing the Defender Note to fit in your purse or wallet correctly. We recommend that you create a template using a piece of paper, and then test to see if it fits in your purse or wallet correctly. When happy, use it as a guide when cutting your Defender Note. When using the Defender Note in Handbags, Diaries etc, please refer to steps 1, 2 & 3. 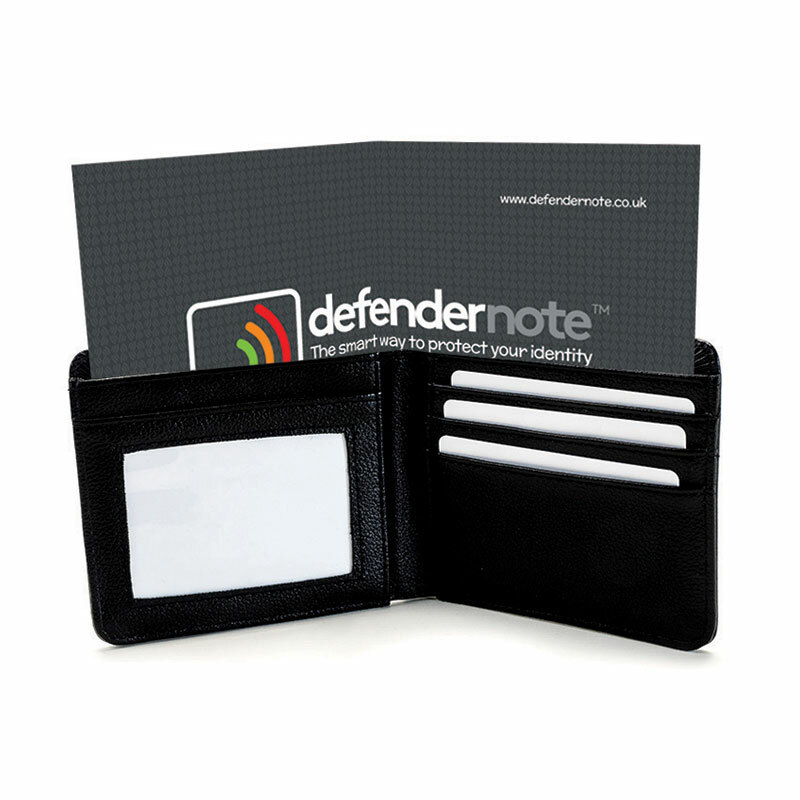 It is vital that all outer casings are fully covered by the Defender Note, and any payment/contactless cards are fully shielded by the Defender Note.